£40.00 GBP. Unmounted, Limited Edition, signed Giclée print. 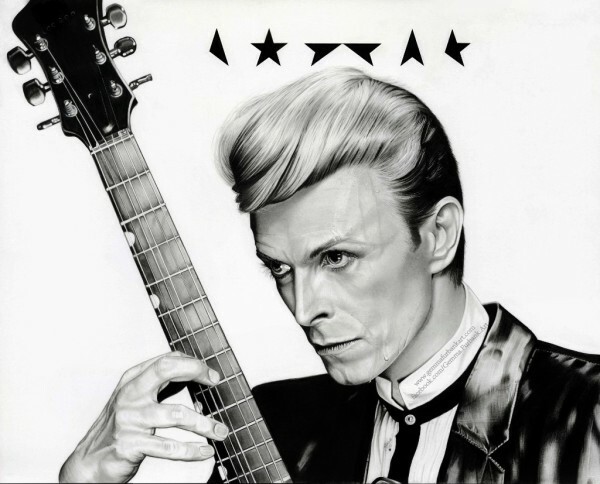 All prints come minus the Black Star/Bowie Logo and minus Gemma Furbank Art script. Original piece was drawn in Graphite and Charcoal pencil. Medium sized prints, aperture roughly A3. Size not exact due to the composition of the original drawing.Price includes free postage within the UK, for prices outside of the UK, please contact for more information via the website. Limited stock. Quote 35OFFNOW to claim offer.